Copyright is a subject that surfaces surprisingly regularly in our work with clients, which means it has been the subject of several posts over the years. (For the basics on both sides, see Copyright, Creative Commons, Words and Photos: Everything you need to know and Licensing Your Web Content: An Overview of Options.) So what makes copyright an old topic with real-time risks for your small business or nonprofit today? 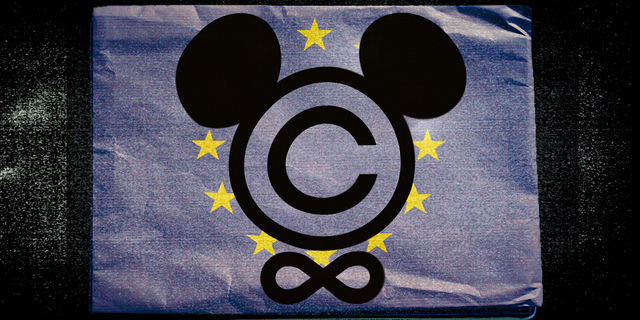 Copyright infringement penalties can be steep. Someone found to have infringed a copyrighted work may be liable for payment of actual damages and profits, or statutory damages up to $30,000 for each work infringed and, if willful infringement is proven by the copyright owner, that amount may be increased by up to $150,000 for each work infringed. In addition, an infringer of a work is also be liable for the attorney’s fees incurred by the copyright owner to enforce his or her rights. Willful infringement for commercial advantage may result in criminal proceedings and jail. On the flip side of copyright infringement, it can be very costly to sue others who violate your copyright when doing so is not your primary business, unlike the image trolls with attorneys on retainer. Mark Schaefer’s recent post tells this side of the story: I am a blogger. In other words, a piece of meat. Have you checked your vulnerability lately? Include a copyright notice on written material and images you create so there can be no question about ownership. Consider using a plagiarism tool or anti-scraping service to identify copyright violators. If you discover your work being used without permission or payment, promptly send a DMCA Takedown Notice to the online service provider hosting the material, as well as any directories or listings pointing to it, and to the individual or company you believe pirated your work. If you work regularly with a law firm, ask if they will prepare a “cease and desist letter” on their letterhead to send to the individual or company you believe pirated your work. Ensure that your entire content team is familiar with copyright basics, plagiarism tools, and this checklist. Create your own images, whenever possible. Search for Creative Commons licensed photos. You’ll find Flickr and Wikimedia Commons there, two favorites of mine. Note that many works licensed by Creative Commons have a licensed “by” requirement, which means you must give credit/attribution to the original creator of the work. Search for public domain images. Request permission from the copyright holder, or find another image. Please note I am not a lawyer and my suggestions are based on my experience and are not a substitute for legal advice from a licensed legal professional. Editor's Note: Originally published December 9, 2013. Updated February 14, 2019.